Zachary Levi tweeted this photo of someone "Batmanning" on August 25. The concept has exploded on Youtube and elsewhere since then. 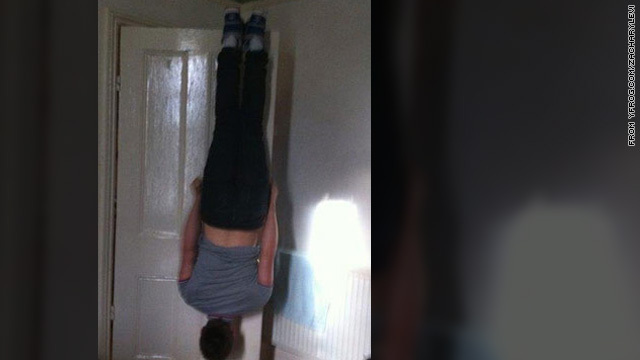 What is "Batmanning," you ask? Zachary Levi, bona fide nerd and star of NBC's "Chuck" seems to have popularized the concept on his Twitter late last month, a response to the "planking" craze. Another gaijin in Akihabara is par for the course in Tokyo's mecca for otaku. There are a lot of words in the world to describe a person with a love of Japanese culture. Anime nerd. Weeaboo. J-culture addict. Japanophile. And of course, a word that originated in Japan: Otaku. For a member of the J-culture movement in America, "otaku" may have seemed like a password that allowed access to a secret club, in which all the other members understood the strange language that was being spoken and one could feel at ease. T-shirts popped up proudly bearing the word in America, worn by fans to conventions and in daily life. 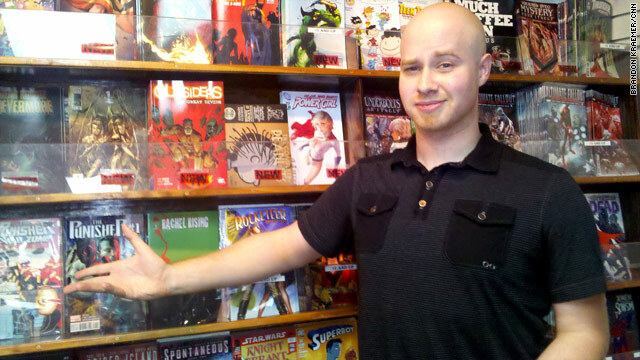 Zack Overton knows what's on Oxford Comics customers' minds. Editor’s Note: You know that deep conversation you have with the purveyor of your local comic book shop? The one where you have incredulous questions about what comic book publishers, artists and writers were possibly thinking, and the clerk gives you a Yoda-like lowdown that brings everything into focus? Those conversations are a more accurate litmus test of the comic book industry than any corporate interview will ever reveal, so that’s why Geek Out! is going straight to the brick-and-mortar source. DC Comics is taking 52 of their superhero titles back to number one. Marvel Comics won’t take that lying down, so they’re turning the clock back on fan favorite “Uncanny X-Men” and then upping the ante by offering to reward comic book show owners who destroy DC comic books. This war is not over, and it is not a clean fight. Zack Overton knows it, and as the clerk at Atlanta, Georgia’s Oxford Comics, he knows which books to recommend for you, your friend, your sister, your dad, and anyone else you might be shopping for this fall.